This was a long-awaited judgment, because the Act which implements EC Council Directive 85/374/EEC ("the Directive") applies to virtually all products supplied to consumers –"from an electric heater to a bottle top, from a car to a medicine" – yet scant guidance is given in the Directive on the meaning of "defect". It was thought preferable to leave this more open, for fear of fettering judges' ability to deal with individual cases and thereby allow a body of case law to develop. Wilkes v DePuy therefore provides valuable clarity in this area. In January 2007, the Claimant, then 55 and a general builder and plumber by trade, had an artificial left hip inserted, made up of metal components manufactured by the Defendant. The hip replacement in question comprises a steel femoral shaft called a "C-Stem" which fits into the hollow of the thigh bone and is connected to a prosthetic femoral head by way of a taper sleeve adapter. Three years after insertion, the Claimant felt his left hip "give way" as he was walking out of his kitchen. The stem had fractured, necessitating replacement of the artificial hip with a different model. The Claimant claimed in negligence and under the Act against the manufacturer, DePuy. Mr Justice Hickinbottom heard the trial of a preliminary issue of whether the Defendant was liable to the Claimant pursuant to section 3 of the Act. the time the producer first put the product into circulation. If damage is caused wholly or partly by the defect, the producer of the product shall be liable for the damage. Mr Justice Hickinbottom reiterated that following, for example, Ide v ATB Sales Limited, a claimant must prove a causal link between the defect and the damage, but is not required to prove the cause of the lack of safety or why the product failed. The judge stated that the test for the appropriate level of "safety" required an objective approach. He confirmed that safety "is inherently and necessarily a relative concept" and that "no medicinal product, if effective, can be absolutely safe". The potential benefits (including utility) of such products therefore have to be balanced against their risks. The judge considered that apart from the three specific matters set out in section 3 of the Act that must be taken into account, the court must maintain a flexible and holistic approach to the assessment of the appropriate level of safety, including which circumstances are relevant and the weight to be given to each in each case. 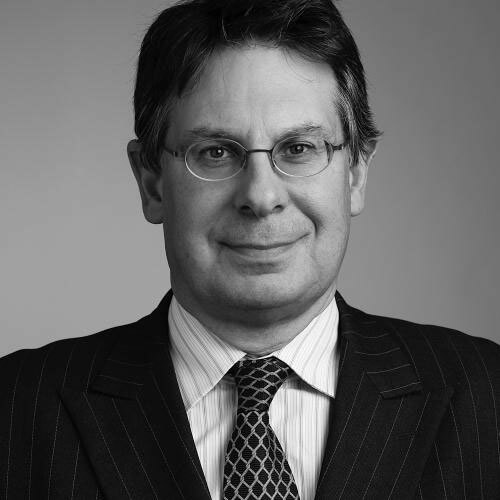 Mr Justice Hickinbottom concluded the "avoidability" of the defect should be considered within the context of the risk-benefit balance of the product itself, without unduly focussing on the acts/omissions of the designer/producer. In some cases, the ease and extent to which a risk could be eliminated or mitigated (including cost) may bear upon the level of safety that the public generally is entitled to expect. However, for a medical product like a prosthesis, he thought that a detailed consideration of whether a particular risk was or was not "avoidable" would be unlikely to be fruitful. It was a matter of degree: it was not suggested that the stem should not have failed at all; rather it failed earlier than it should have done. Compliance with mandatory standards and regulations was another relevant circumstance considered by the judge. He found that compliance would not provide a complete defence but would carry considerable weight and in appropriate cases provide "powerful evidence" that the level of safety required by the Act had been satisfied. This is particularly so where every aspect of the product's design, manufacture and marketing has been the subject of substantial scrutiny by a regulatory body comprised of individuals selected for their experience and expertise. The judge respectfully departed from Burton J's approach in A v NBA in a number of respects. Burton J's approach had been, as a "first step", to "identify the harmful characteristic which caused the injury". The judge thought this approach circular: proof of a connection between defect and damage cannot rationally be attempted without ascertainment of whether there is a defect, and if so, what the defect might be. Concentrating on causation at the outset was "a distraction from the true focus of the Directive and the Act, which is on defect". Counsel for DePuy submitted that the use of the phrase "legitimate expectation" of persons generally in A v NBA (in relation to the definition of "defect" under the Directive and the Act) was an unhelpful gloss on the Act, particularly given the public law connotations of the phrase. Mr Justice Hickinbottom agreed – a test of what persons generally are entitled to expect does not require further description. The safety persons are "entitled" to expect refers to entitlement as a matter of law, not actual individual or general expectation. Burton J employed a classification of "standard" (a product which performs as the producer intends) and "non-standard" products (a product which is different, deficient or inferior in terms of safety from the standard product and where the harmful characteristic causes the damage). He excluded the relevance of risk-benefit in the case of a non-standard product. Mr Justice Hickinbottom thought this classification was "positively unhelpful and potentially dangerous" and a distraction from the exercise the court was required to undertake, namely consideration of the appropriate level of safety taking into account all relevant circumstances. The manner in which a product has been marketed is one of the three specific matters set out in section 3 of the Act. Here there was no obligation on the producer to provide any information directly to the patient, who was assisted by his surgeon. It is unclear whether Burton J considered the presence of an intervening healthcare professional to be a relevant circumstance in A v NBA. To the extent he did not, Mr Justice Hickinbottom respectfully disagreed – he stated it was "unarguable" that it was a relevant circumstance where a learned intermediary (who has his general professional knowledge but also the manufacturer's Instructions for Use ("IFU") – including warnings) has chosen a particular prosthesis for a particular patient, particularly where there is no obligation on the producer to provide information directly to the patient. The judge held that the C-Stem did not suffer from a defect. The product complied with relevant mandatory standards and regulatory requirements. The IFU were regulator approved and warned of severe loading placing the patient at higher risk of hip replacement failure in cases of obesity, manual labour, participation in active sport and high activity levels. The fatigue failure of the Claimant's C-Stem was "rare, unpredicted and unpredictable" and was a risk expressly warned of in the IFU as one of the most frequently encountered adverse events and complications. This judgment is likely to be especially welcomed by those who produce complex products which meet high regulatory thresholds and standards, given the helpful comments made in this regard by Mr Justice Hickinbottom. The waters are still not entirely clear in relation to causation and what must be proved where (as in this case) the Claimant's case was based upon a defect causing an increased risk of injury or damage. Having found no defect, the judge did not need to consider causation and left the issue to a case in which it might be determinative. 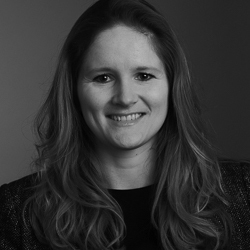 The judgment helps clarify what constitutes a defect under the Act, whilst embracing the notion that each case must be viewed on its own merits. The judgment should continue to allow courts to consider all the circumstances in a flexible manner when determining whether the safety of a particular product is "not such as persons generally are entitled to expect".